The next General Elections is coming and to say it is just around the corner will be an understatement. Whilst the opposition is put in disarray by the BN and its cronies including the heads of many a statutory body entrusted to ensure fair play and the wishes of the people, with Najib and his cronies it is just the opposite. With Anwar conveniently tucked away in jail they are now targeting the likes of Rafizi, Tien Chua, Khalid Abdul Samad, Lim Guan Eng and many more while Najib goes about his way making his strategy work. The danger with the current situation is Mukhriz's attempt to tie up with PAS, the very party Najib will be using to ensure his stay in power. 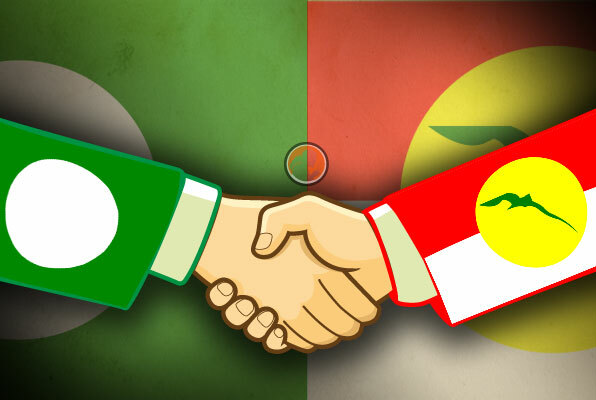 In Kedah the opposition should go for an all out fight, with UMNO and PAS rather than allow PAS a free reign. PAS is UMNO's or rather Najib's "Trojan Horse". real trouble, they the PAS Ulamak are speaking bout it at every meeting they now hold behind closed doors and if Mukhriz has not got that message yet he is not prepared for the position of MB Kedah. Yes, with Parti Pribumi and Amanah joining forces against PAS and UMNO, PAS is a gonna even in Kelantan and that is the ground swell as it stands right now. The PAS membership are well aware of the close beneficial links between Hadi and UMNO and many, a very many are totally disgusted with it. 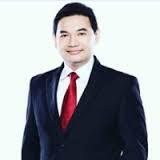 "He has sold the soul of PAS," according to one Ustaz from Padang Terap. This Ustaz is already campaigning against the PAS leadership although in the open he looks pro PAS. That has always been the PAS strategy. According to some sources even the PAS leadership is aware of this damaging Ustaz and dare not take him to task as they fear it will split the party even further. Najib has indicated that he will allow a free reign to many PAS candidates to contest PKR on a one to one and where they need a split they will go in for a three cornered fight. The Opposition have to go into this elections with their eyes opened, as UMNO sources from Johor have confirmed that the PAS people in Johor are already talking about Hadi becoming a Deputy Prime Minister in the BN if PAS should help BN wrestle power in the country, and if we know Hadi well enough, we all know what will happen. Najib has instructed Hadi to get into a deal with the opposition that will be the easier way out, and at the eleventh hour to field candidates against the opposition, in opposition territory just to split the vote and give UMNO its dues. This has been done before albeit on a much smaller scale. 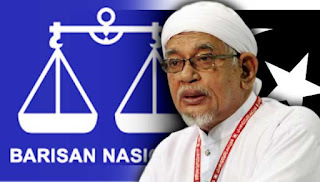 It is not Kit Siang who will call the shots as Najib alleges in an opposition government, but Hadi and PAS that is the real game, and many Malaysians, Mukhriz and even senior UMNO and PAS members are in the dark about this evil plot as many UMNO men will be sidelined and Hadi will become DPM1. 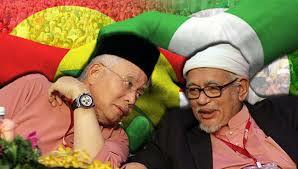 According to my UMNO sources Hadi is still demanding only one DPM position and that is him. The PAS Ulamak have already hit the road, go to opposition areas and take a look all the PAS flags are up, it is a sign that the elections are on the way. Najib has fast forwarded branch and Division meetings of UMNO and even the MIC and MCA are quite in the dark of the goings on. many of their candidates will be dropped for his own security and PAS will after the next GE become a reckoning force in BN and whatever the other BN members think will be immaterial and of no consequence, in fact a new coalition is in place and it will materialise after the next General Elections, with PAS playing a pivotal role. 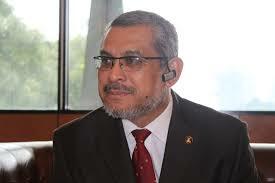 The opposition should discard PAS with immediate effect, the Selangor Government should sack PAS from Government and go it alone with the DAP and the Amanah members, some UMNO members will then opt to move to Pribumi and the power will still be with the people. Johore promises many surprises at the next GE and so too Negeri Sembilan and Trengganu. We need to make a better effort in Sarawak and Sabah and this Government can fall. IT IS ON LET USS HIT THE CAMPAIGN TRAIL, BUT REMEMBER. PAS IS UMNO AND UMNO IS PAS.